Cave Castle is in the minority when it comes to a superb Hotel with its own 18 hole golf course which provides a good test for all levels of golfer. Set in 150 acres of rolling countryside at the foot of the Wolds the only noise to be heard is the wildlife and banter of other players! Hollins Hall is the rural gateway to traditional Yorkshire hospitality. At the heart of the hotel is a Victorian house built in 1878. The hall still remains to be a focal point of the hotel, providing dining facilities in the original drawing rooms, together with conference facilities. Complemented by leisure facilities and an 18 hole championship golf course your are assured of a truly memorable experience in a stunning rural retreat. The course is a challenging 6,200 yards (5,400 yards for the ladies) set in picturesque, peaceful surrounding on the edge of The North York Moors National Park with views looking out over the NY Moors, The Yorkshire Wolds and The Hambleton Hills. With eight par 4s over 400 yards (5 from the yellow tees) the course provides players of all levels of ability with a real test of their golfing skills. 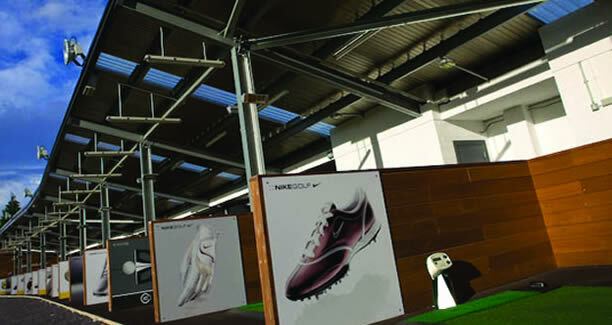 Oulton takes golf seriously, with an Academy and performance centre backed by state-of-the-art facilities. Staffed by PGA professionals, it's for everyone. The driving range, chipping and putting facilities make practice perfect. Then there's the sensational 27-hole, two-course complex. 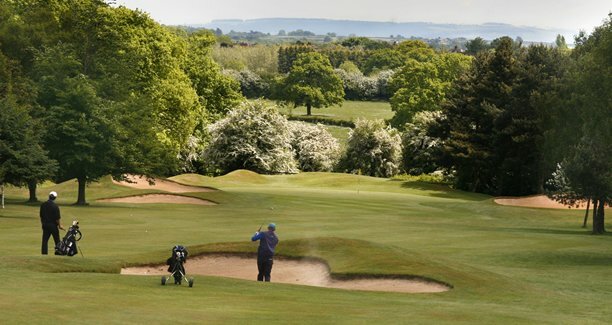 For golf enthusiasts, take a swing on our 18-hole 72-par golf course, set against the breathtaking backdrop of the Vale of York and meandering River Ure. Hit the greens then enjoy a selection of nibbles whilst overlooking the golf course in either The Terrace or Squadron Bar. On a clear day, the views are breathtaking. Perfect for a corporate golf day. Raven Hall's setting is dramatic, and its golf course even more so. Located on a cliff 600ft above sea level in the North York Moors National Park, overlooking the once secretive smuggling village of Robin Hood's Bay, the 52 bedroom hotel also boasts eco-designed lodges, luxuriously furnished and fitted. The ingenuity and challenge of the hotel's complimentary (for residents) 9 hole golf course steals the show. The holes vary from 174 yards to 350 yards, and the Raven Hall course is set up to play each twice and complete an 18 hole round. It makes for a challenging game in an idyllic and sometimes bracing location. We are committed to providing the perfect venue for your golfing event. There are a range of options to choose from, however, we would be delighted to produce a bespoke package that suits your requirements. Packages range from £26 to £76 per golfer. It is important to balance business with pleasure. 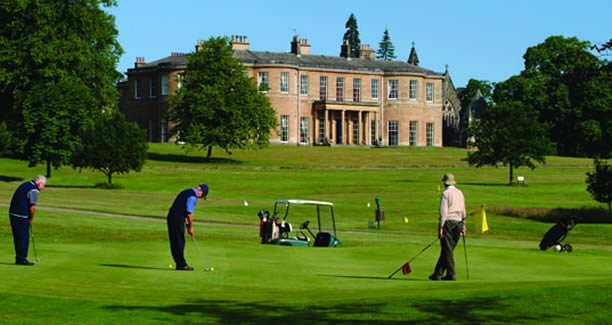 Holding a corporate golf day at Raithwaite Hall and Whitby Golf club will challenge your most experienced colleagues and clients, just as much as those enthusiastic beginners. One of the most picturesque courses in the UK. Golfing activities can be tailored to any event, from individual lessons to structured group tuition and tournament administration. On-course corporate branding, coupled with golfing products and gifts displaying your company logo can be organised to add impact to your corporate golf day. Set in the picturesque grounds of Hunmanby Hall with spectacular views over Bempton Cliffs and Filey Bay. The pay and play 9 hold golf course is full size with 18 tees and is probably the best 9 hole course in the area. Golf societies and groups are welcome.